As we approached the launch of the Oculus, HTC Vive and PSVR, our minds swam with fantasies of diving into our favourite open-world games through these VR headsets. Post-launch, however, it quickly became clear that just because a game is great on a screen does not make it great in VR. Even as developers tried out different methods of traversal, UI and comfort settings, ports of games into VR never quite worked - always feeling like a square peg in a round hole. Over the last few years, VR has really started to hit its stride - with developers moving away from adapting traditional gameplay mechanics and instead designing experiences from the ground up for VR. We seemed to be leaving this trend of VR adaptation behind. 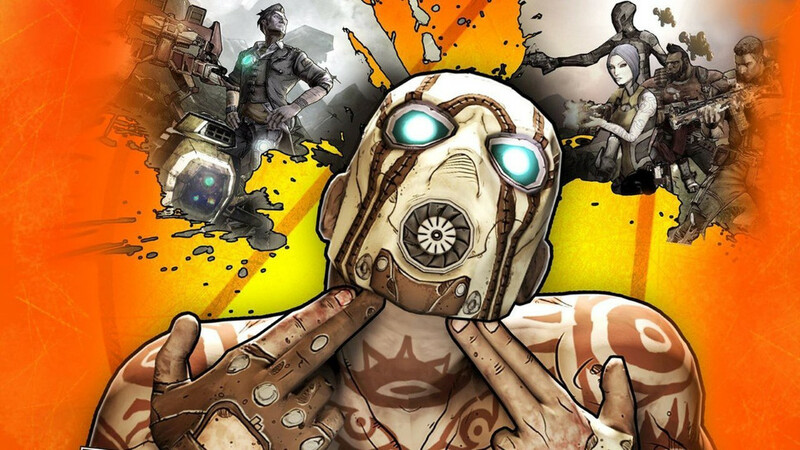 When all of a sudden, 2K announced that they would be bringing Borderlands 2 to the PSVR. I thought, surely if they are making this port so late in the game they must have developed some really interesting and innovative approach to translating their bombastic open-world shooter for the VR platform. 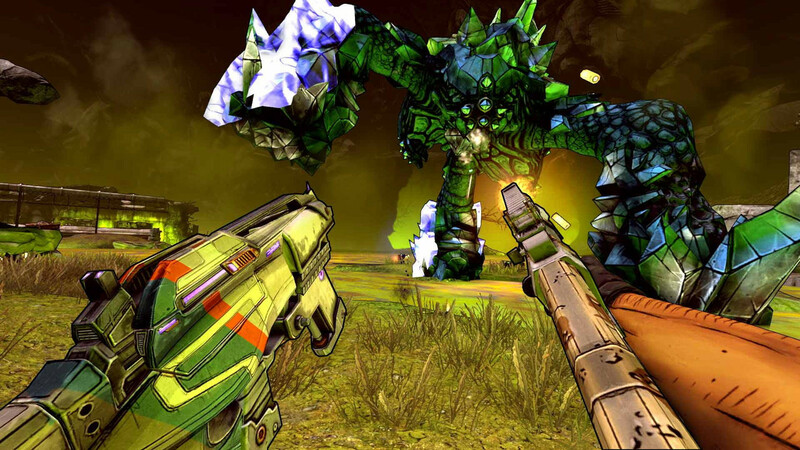 Borderlands 2 VR has all of the same issues that early ports to VR had, and is years too late to enjoy the leeway granted to games released in 2015 that were still figuring out if this kind of copy/paste adaptation to VR was going to work – because, we know now that it doesn’t. To be fair to developer Gearbox, they have chucked all of the methods they could think of to alleviate the problems caused by putting a game developed for screens into VR. The game comes with a wide variety of comfort, controller and traversal settings. The comfort settings are effective for dealing with motion sickness at least, with an adjustable peripheral blinder that makes traversing normally fairly comfortable and a teleportation system if movement makes you uncomfortable. In terms of input, you can either use a controller and use your head for looking around or you can use PlayStation Move controllers for aiming and interacting with objects. I preferred to use the move controllers, as it makes the experience more immersive – but, it is still undeniably gammy, as you paw strangely in the air to find the right angle to interact with loot boxes or position your weapon. They have also programmed in a mechanic which slows time –an allowance necessary for this incredibly frenetic game, with enemies rushing all over the screen and projectiles firing at you from every which way. This feature, and the VR experience in general, work best when an encounter feels like a shooting gallery. Traversing in the heat of battle is far too cumbersome to be gratifying and so, when possible, I would try and plant myself and pick off enemies at you might in an arcade unit like Time Crisis. 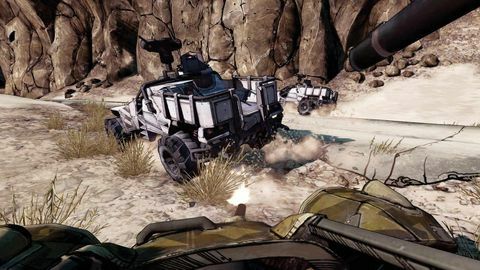 The game doesn’t make this easy though, with enemies like the Psycho rushing right up to you, forcing you to either try and reposition or flail madly trying to make the melee connect with them. Having enemies right up in your face like this is incredibly uncomfortable. 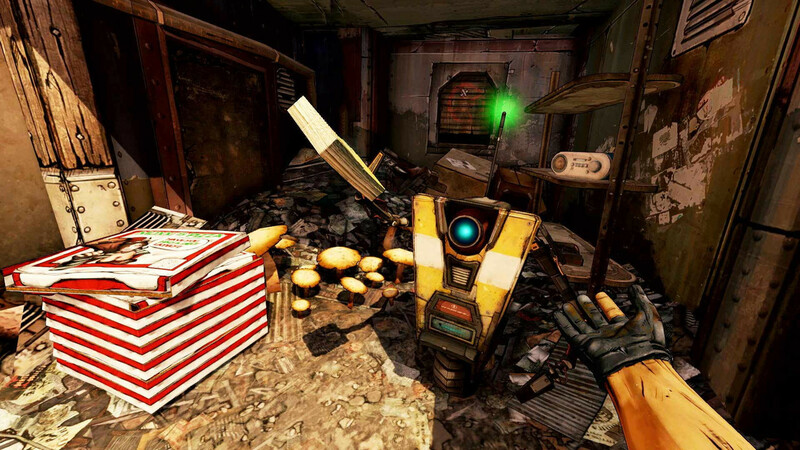 The fact that the AI of the numerous characters who fight close-quarters were not adjusted to compensate for this is an example of how few fundamental adjustments were made to the gameplay in its transition into VR. In one encounter, I had six or seven bullymongs standing all around me. It was a bewildering mess of activity to deal with in first-person VR and with no easy control over traversal to extricate yourself from the situation. As I blindly flailed my melee arm around, I was struck by what a poor fit the experience was for VR. This is just one example of the ways the game is poorly optimised for VR. Another particularly grinding omission is the lack of directional audio – with all enemy voice cues and firing effects lacking directionality. In an immersive 3D environment, this lack of directional audio makes every noise a bewildering mess which has you spinning blindly around searching for its origin. Ups Beautiful vistas to enjoy in VR. 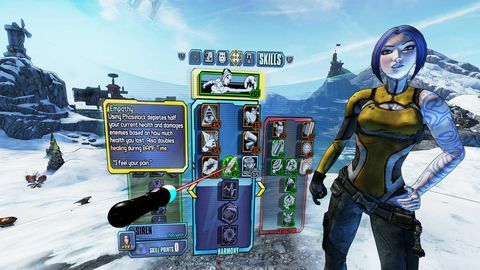 Same great Borderlands arsenal and story. Good range of comfort and input options. Downs Unwieldy controls. Fundamental dissonance between main experience and VR. Lack of directional audio. Few adjustments made for VR integration.